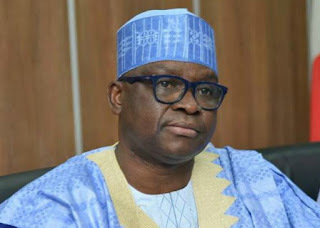 The Ekiti State Governor, Ayodele Fayose, has declared that what transpired in Ekiti is not supposed to be call election but a mere contest between the People’s Democratic Party (PDP) and INEC as well as other security agencies of the state. This was in the governor’s reaction to a statement made by the media aide of Buhari, Mallam Garba Shehu, entitled: “Fayose: In the end, a high-powered nothing,” issued after the Ekiti gubernatorial election on Saturday. Fayose queried, “Can you call that election? Of course not. 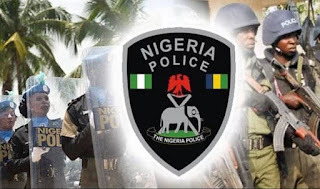 It was a contest between Olusola and the INEC and security agencies. “Buhari has demonstrated truly that he is not a democrat, but a dictator who is yet to get over military mentality. Muscling of democracy in Nigeria today by the Buhari administration is not about Ekiti alone. Presidential aspirants and PDP states should prepare to have taste of brutality of this administration. This is why we all need to stand up to rescue Nigeria from Buhari. “The victory of Kayode Fayemi is pyrrhic. We will reclaim the stolen mandate in the court by the power of God,” he said. Replying Shehu, the Governor said the presidential spokesman is a fair weather friend who would soon desert his current pay masters. “This is not surprising, when he was the President of the Nigerian Guild of Editors during the regime of General Sani Abacha; he wined and dined with the maximum ruler. He would go under the cover of darkness to collect money purportedly for editors, but everybody knew what he did then. Nigerians are waiting to nail him in the end,” Fayose said.